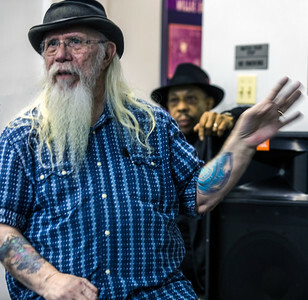 Kirk West, longtime tour manager for the Allman Brothers, is also a master photographer, who was in the right place at the right time to get some incredible shots of the musicians who made Chicago famous worldwide for their electrified style of Delta blues. 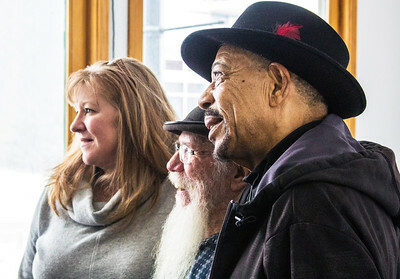 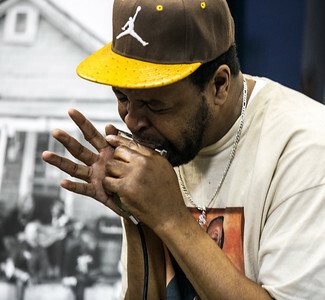 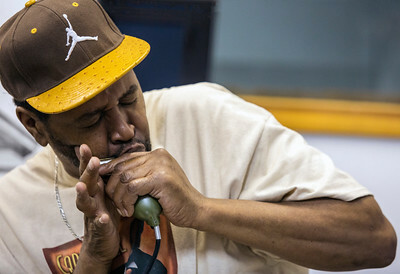 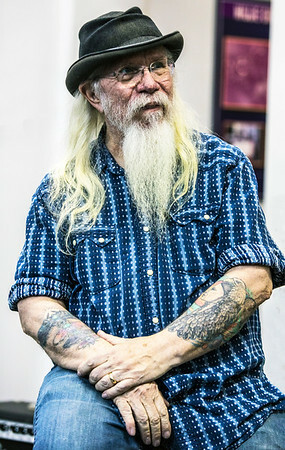 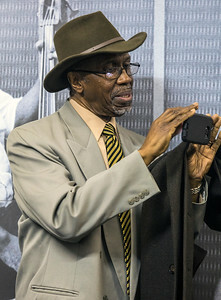 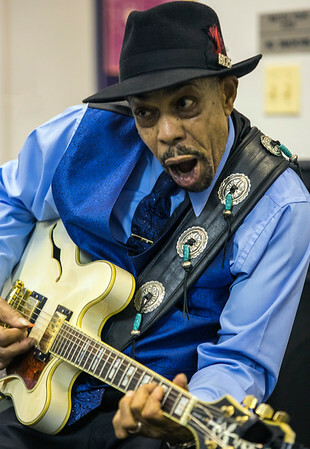 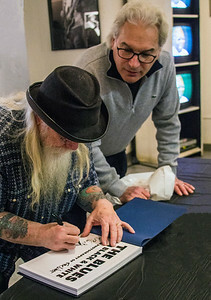 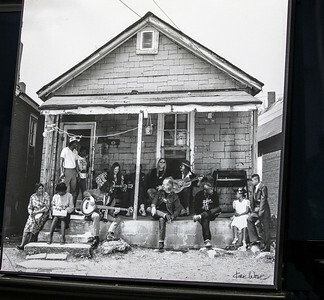 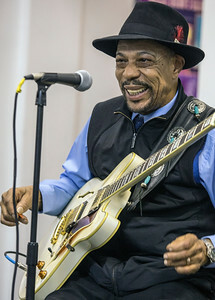 West exhibited his work at the historic Chess Records building, home to the Blues Heaven Foundation, to promote his new book, The Blues in Black and White. 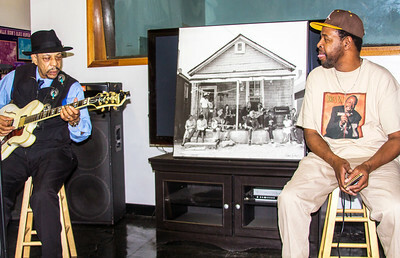 The event also included a performance by John Primer and Steve Bell, two of Chicago's finest players. 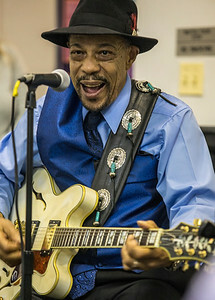 Kirk West entertains the audience with tales from the road. 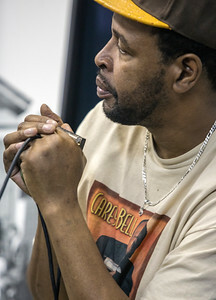 That's John Primer waiting in the wings. 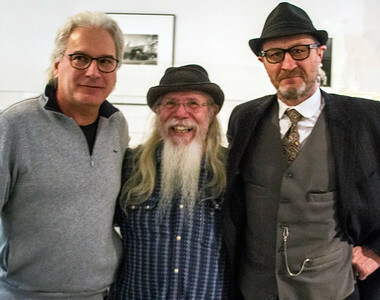 The gang's all here. 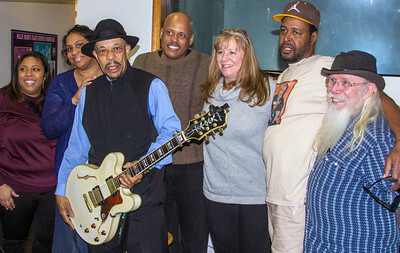 (l-r) Theresa Needham, Yvette Needham, John Primer, Brian Needham, Lisa Becker Primer, Steve Bell and Kirk West. 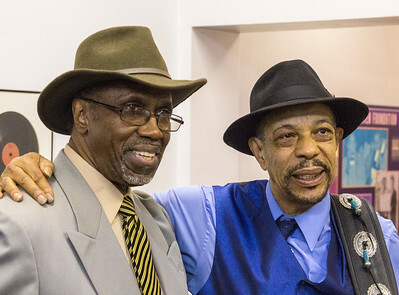 The Needhams are relatives of the legendary southside club owner Theresa Needham.